Drop by CKUT for a live story telling event on Radio is Dead on Monday, August 27 from 2 to 3 pm! We are seeking personal stories–not professional storytellers (although we’re sure some of you may fancy yourselves professional storytellers, and that’s great too!). Get this: there are no guidelines, no specific goals and no overarching themes. Each story will stand on its own. Contributors are free to remain anonymous, to take on characters, to tell a story in memory of someone else, etc. No previous radio experience is required. 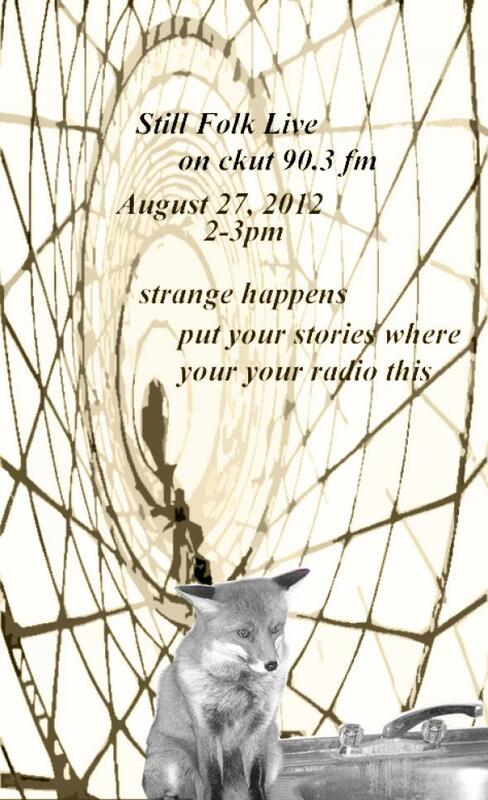 All you’ve got to do is stop by CKUT from 2 to 3pm on Monday, August 27th! If you’ve got any questions about participating contact us at culture@ckut.ca.